No New Zealand trip would be complete without a visit to this charming town. 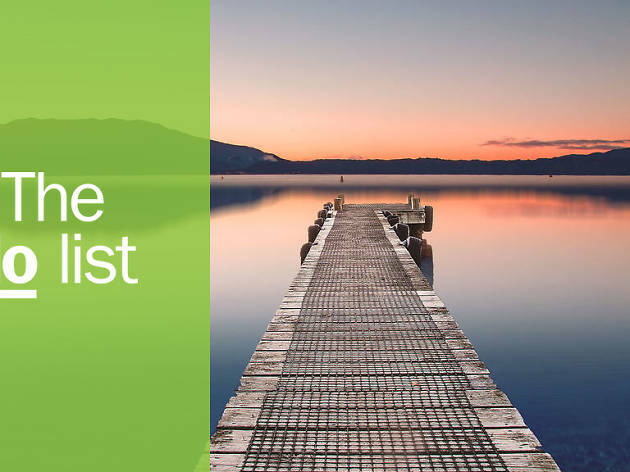 Here are the best things to do in Rotorua. 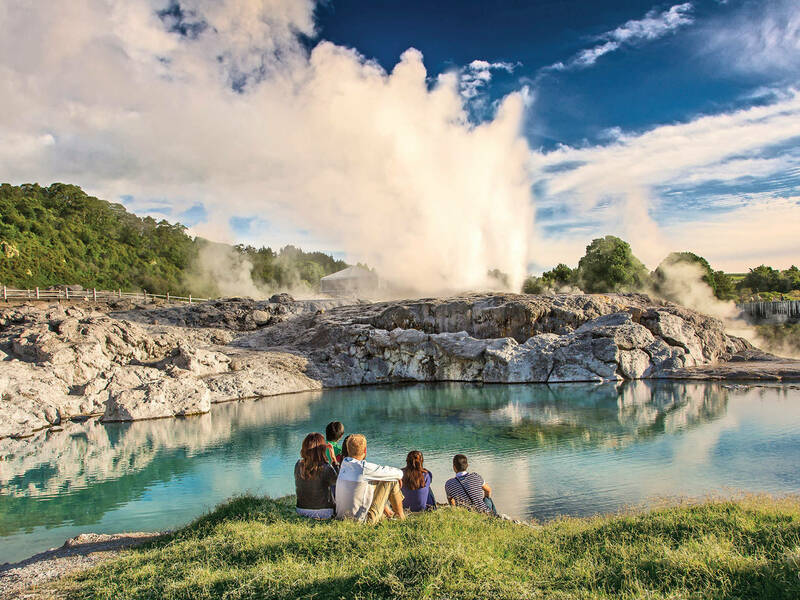 Bubbling mud pools, shooting geysers, natural hot springs, adventurous activities and exploring the Māori culture are just a few of the incredible things to do in Rotorua; the area offers something to suit all tastes. Soak up its laidback vibe and check out its bustling food scene, which ranges from fine dining to food markets. 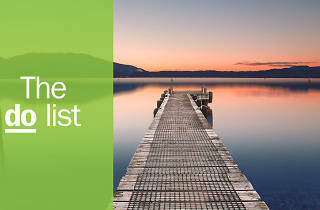 Let Rotorua surprise you while you spend time uncovering her many hidden gems. What is it? A park which is home to the world-famous Pōhutu geyser, plus mud pools, hot springs and silica formations in the historic Te Whakarewarewa Geothermal Valley. Why go? It’s definitely worth coming to see Pōhutu, the Southern Hemisphere’s largest active geyser. She blows her top a few times each hour and sometimes reaches heights of 30 metres. Not surprisingly, Pōhutu means ‘constant splashing’ in Māori. You’ll also get to experience a traditional Māori welcoming ceremony (a pōwhiri) and see traditional Māori carving and weaving at the New Zealand Māori Arts & Crafts Institute. What is it? 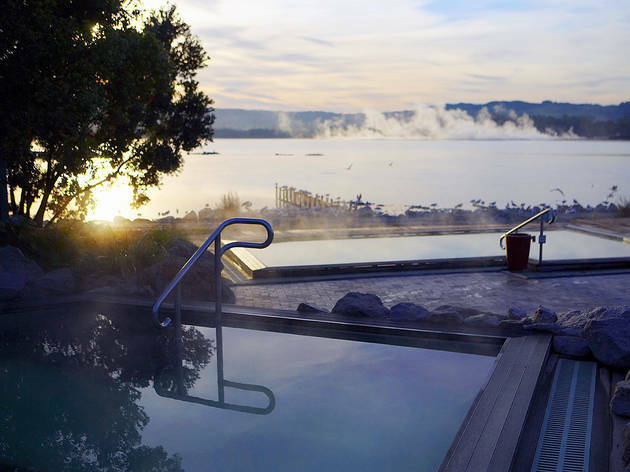 A geothermal bathing and spa retreat nestled on Lake Rotorua’s shores, which are renowned for their healing waters. Why go? Polynesian Spa’s geothermal hot mineral waters are sourced from two natural springs, and work wonders on tired muscles, aches and pains. The alkaline waters will also beautifully nourish your skin. Choose from one of their 28 pools, all ranging in different temperatures depending on how hot you like it. What is it? 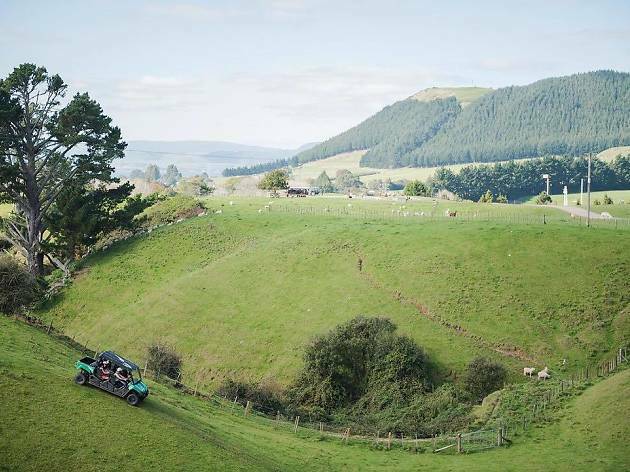 Over 350 acres of lush farmland only ten minutes from Rotorua’s city centre. Why go? If you’re a city slicker hoping to get an insight into country life, here’s your chance to get up close and personal with a host of furry friends. Agrodome’s farm show is very entertaining and you’ll see sheep sheared and farm dogs do tricks. After the show you’ll also get to cuddle impossibly cute baby animals in the nursery. What is it? A small zoo with a trout farm, kiwi hatchery, aviaries, interactive animal encounters and a water ride called the Big Splash. Why go? 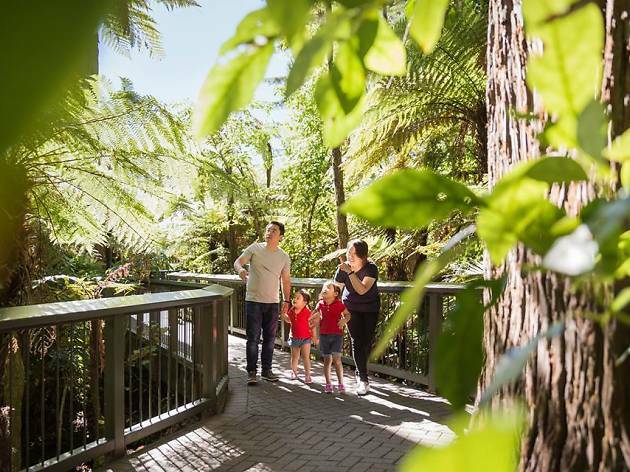 If you love nature, you’ll enjoy walking through the beautiful native forests of Rainbow Springs. You’ll spot some interesting creatures such as native birds, tuataras, reptiles, trout and kiwis. But if you want to get up real close to the animals, you can book into one of their animal encounters. Their Big Splash boat ride is also good fun, provided you don’t mind getting soaked at the end. What is it? 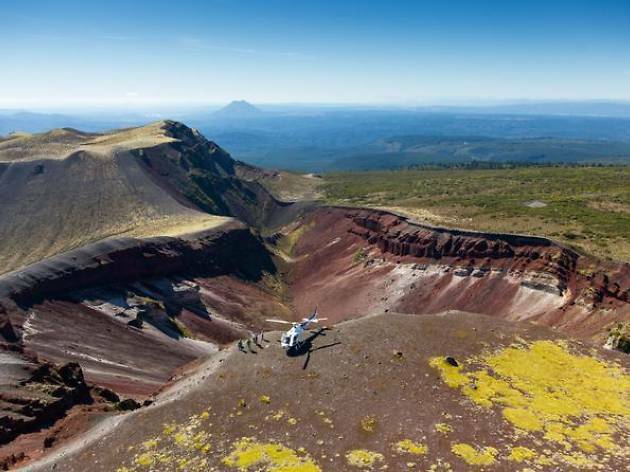 An adventure centre on top of Mount Ngongotaha overlooking Lake Rotorua. Why go? 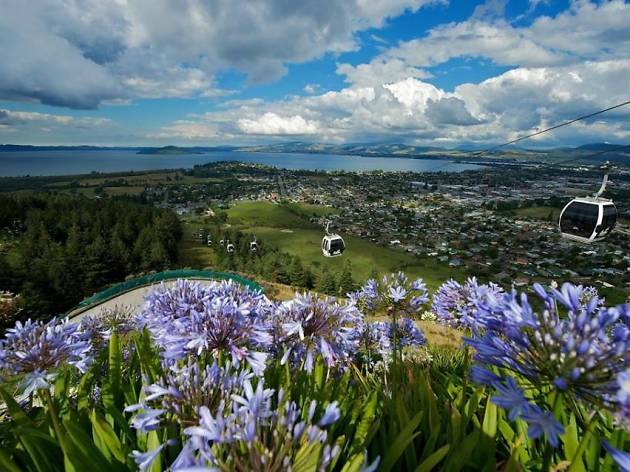 If you want a fun day out, jump on board one of Skyline’s gondolas where you can see spectacular views of Lake Rotorua from up high. Once up top, you can choose from any adventure activity you like – luge, mountain bike, zipline or skyswing – or walk one their nature trails. Afterwards, replenish your strength at the Jelly Belly store or with a wine tasting. What is it? A buffet restaurant at the top of Skyline Rotorua’s Gondola, open for lunch and dinner. Why go? What better way to end a fun mountain adventure than with a buffet lunch or dinner, with stunning views to boot? 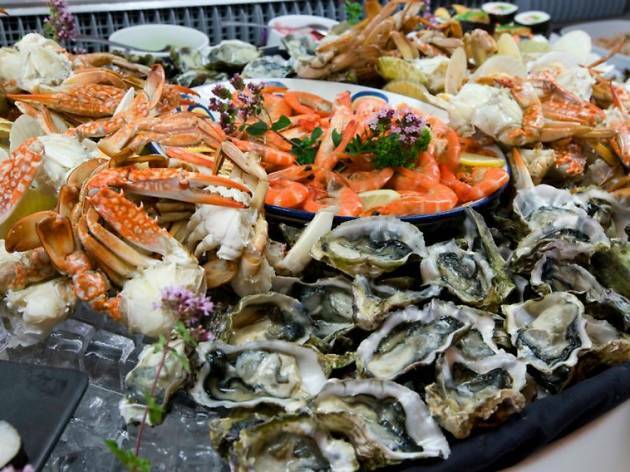 You’ll be spoiled for choice with their fresh seafood, meat grilled right in front of you and delicious cooked-to-order crêpes. What is it? A contemporary bistro with a cool vibe and sidewalk seating. Why go? For starters it’s on Eat Streat (the food hub at the lake end of Tutanekai Street) where all good culinary adventures in Rotorua must start. 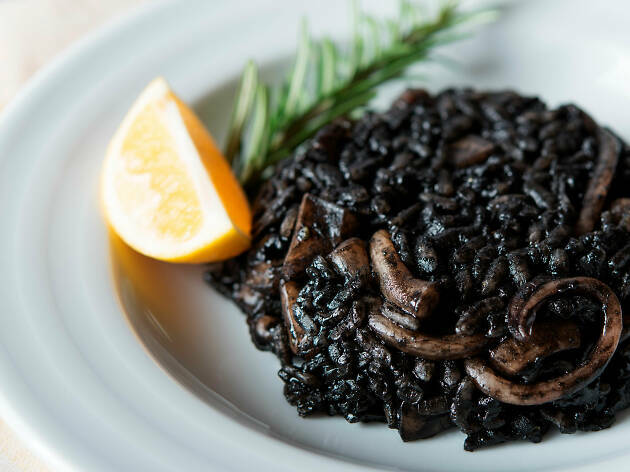 This restaurant serves up delicious large and small plates designed to be shared in a group, making for a memorable night out that’ll leave your tastebuds singing. Our tip: try the haloumi salad. What is it? A ’40s-style house with outdoor lounge serving brunch, tapas and mains. Why go? 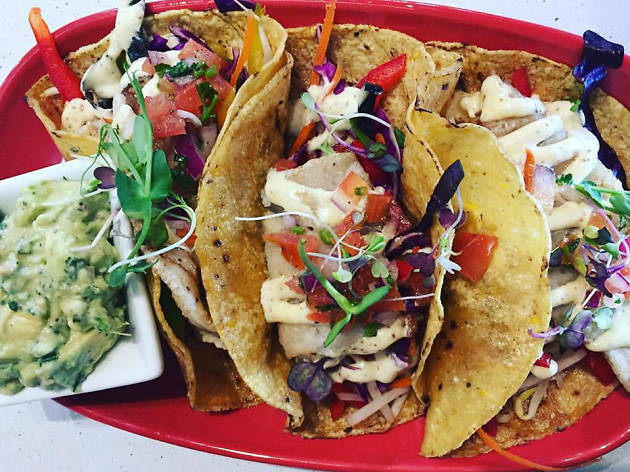 If you love good food and good vibes in a laid-back atmosphere, you’ve come to the right place. Enjoy brunch or lunch in the front café by day, or check out their outdoor garden bar by night. What is it? A stunning lakeside fine diner serving award-winning Pacific-style cuisine using indigenous herbs and spices. ​Why go? Spoil yourself with a special night out at this restaurant known for its unique Kiwiana-style food. You’ll try traditional Maori herbs used such as Rewana, Pikopiko, Piripiri and Horopito. What is it? 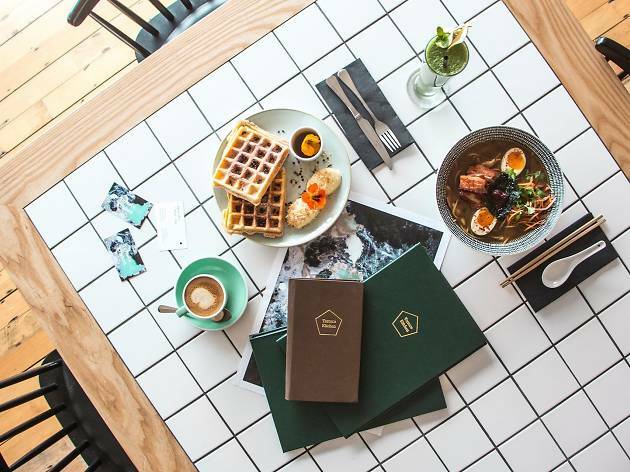 A relaxed all-day eatery with an open plan kitchen serving up a modern, innovative menu. Why go? The atmosphere here is very inviting with its light and fresh décor and large open kitchen which allows diners to watch chefs cooking up their culinary delights. 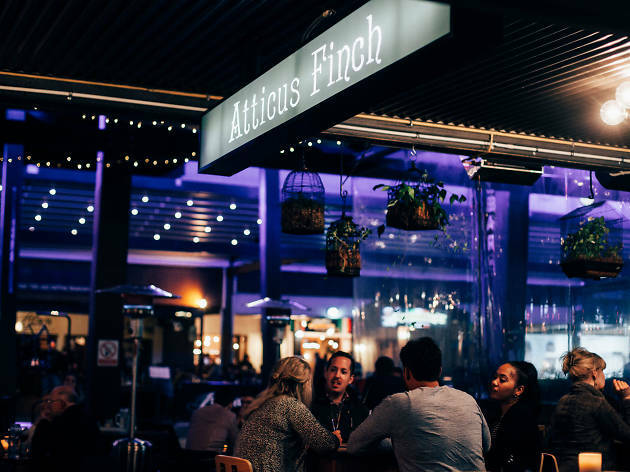 Best of all, there’s even an outdoor area where you can dine under the stars while warming your toes on thermally heated concrete. What is it? 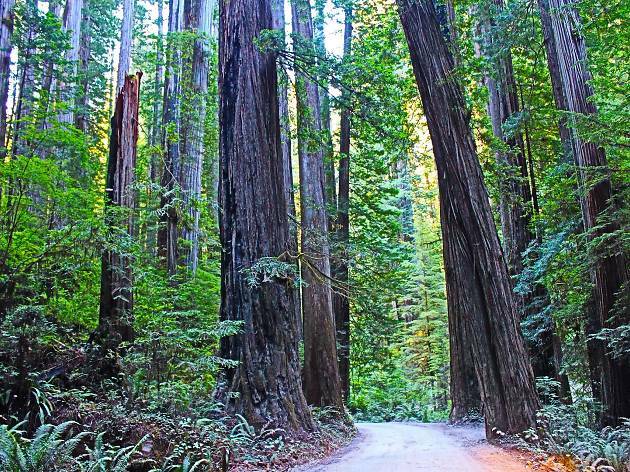 A forest full of magnificent California Coast Redwoods and plenty of superb mountain biking and walking tracks. Why go? This is an Instagram-worthy forest full of hidden gems. Hit the trails on a mountain bike or take in the stunning panoramic views walking through the forest as the tall trees tower over you. What is it? A walking trail around Lake Tarawera that leads to Hot Water Beach. Why go? Not many people know about this secluded trail, which is just 15 minutes’ drive from Lake Rotorua. Take in the breathtaking views and enjoy the serenity of the beaches with crystal clear waters. At the end of your walk, you’ll be rewarded with a soak in the beautiful Hot Water Beach which is naturally heated from the geothermal energy. After all of that, you can catch a water taxi back.